Here you can see a nice young couple from Ukraine. They decided to organise their elopement in a place as wonderful and colourful as Positano, where they wanted to spend some unique and intimate moments together. They couldn’t chose better, as the Amalfi Coast undoubtedly offers a very enchanting location. The bride was a young girl, as she doesn’t wear a lot make up in everyday life, I chose for her a light and fresh make up with a little accent on her wonderful blue eyes. To make them look great on photos, I used eyeliner and false eyelashes, whereas for the lips I chose a neutral lipstick. 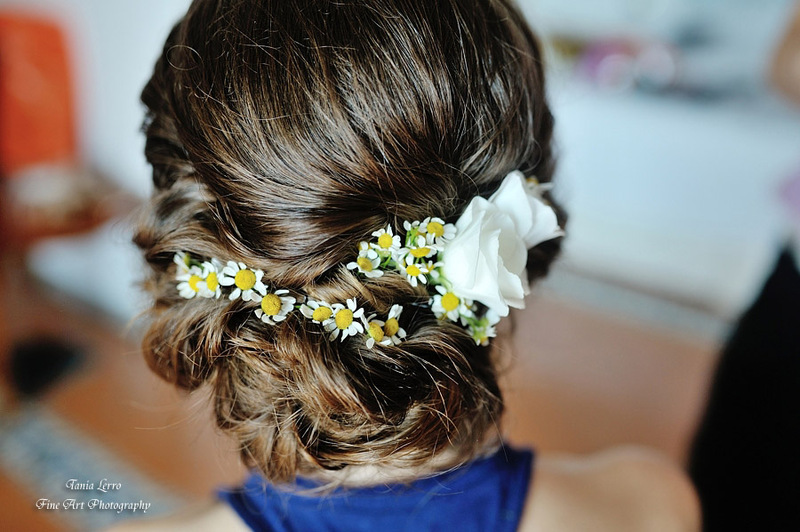 For the hairstyle I did a very soft updo with small fresh flowers, as her dress was very sophisticated and simple.